Robert D. Stevens, Ph.D., P.E., F.ASCE, and Mark W. Woodson, P.E., L.S., F.ASCE, have been selected by the Board of Direction’s Nominating Committee as the two official nominees for the position of 2014 ASCE president-elect. ASCE’s election, which will also include Region and At-Large directors and Region governors, begins on June 15 and will close on August 14. Stevens has been actively involved in the Society since 1961, when he was a member of the University of Akron’s student chapter. Over the years he has lent his time and expertise to no fewer than 38 ASCE and Transportation and Development Institute committees, and within T&DI he has served as president, vice president, and treasurer. 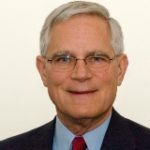 Stevens was executive vice president for ARCADIS, U.S., Inc., and oversaw the firm’s infrastructure division and managed its transportation practice until his retirement in 2007. Stevens served as a member of the ASCE Board of Direction as director of ASCE’s Technical Region from 2009 to 2012, was a member of the Society’s Executive Committee from 2011 to 2012, and since last year has been the chair of the Committee on Technical Advancement. He also sits on the governing boards of Engineers Without Borders–USA and the American Road and Transportation Builders Association. Woodson is president and owner of Flagstaff, Arizona-headquartered Woodson Engineering & Surveying, Inc., which he founded in 1994. 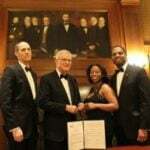 Woodson served as a member of ASCE’s Board of Direction from 2003 to 2006, held the office of treasurer from 2007 to 2009, and chaired the Strategic Planning Committee from 2009 to 2012. He currently sits on the Committee on Leadership and Management and the Transportation and Development Institute’s Board of Governors. 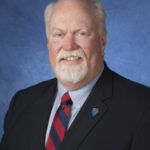 Actively involved in his community, he is a member of Flagstaff’s city council, the Flagstaff Chamber of Commerce, and the state’s Board of Technical Registration’s Enforcement Advisory Committee. He was appointed by Arizona’s governor to the state’s Land Department Urban Land Planning Oversight Committee. 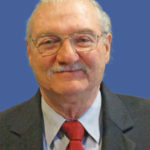 Woodson served as president of ASCE’s Arizona Section in 1991. The section honored him with its Arizona Civil Engineer Distinguished Service Award in 1994 and John C. Park Outstanding Engineering Award in 2002. Details about this year’s election process are available at ASCE’s frequently asked questions page. Any questions regarding the election may be addressed to Patricia Jones, ASCE’s director of executive and board operations and special assistant to the executive director.